Try our Easy Lemon Cake recipe that's almost too easy to make tonight. 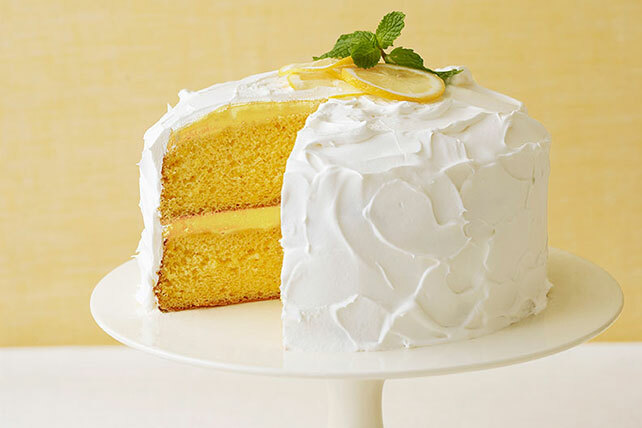 With just four ingredients, this lemon cake recipe delivers spectacular results. Beat pudding mixes and milk with whisk 2 min. Immediately spread over tops of cakes. Stack cake layers. Frost with COOL WHIP. Bake cake in 13x9-inch pan; cool. Do not remove from pan. Spread cake with pudding mixture, then COOL WHIP.